Perfect ninebot z10 for sale, less than 5miles! $1700 shipped to your door. 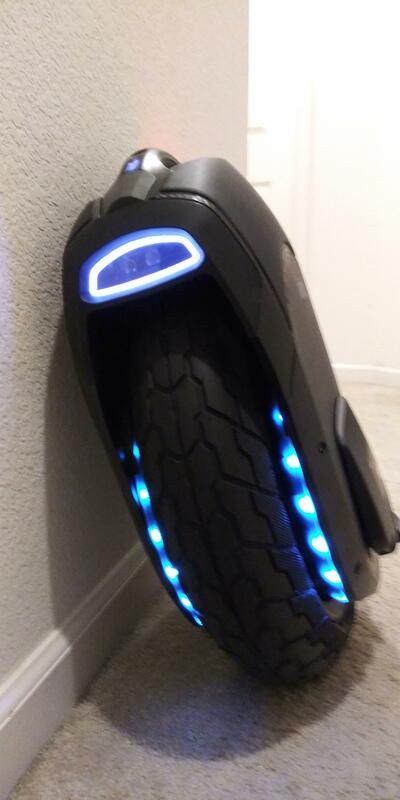 Also have a perfect ninebot e+ $350 shipped to your door. Lets make a deal:) PM for more pics and details. Hello! I am extremely interested in your ninebot e+. I’m located in Seattle and I am willing to use PayPal or any other verification method you would be comfortable with considering I am a new user. anc if theres anything else needed to verify I am legit I will happily do it! Excellent price on both wheels. Your PM box should be filled up with requests by midnight. Your stable would look awesome with 2 Zs! So sadly, this Z10 will have to find a different new home. Congratulations! So when will we see an updated Panorama? Poor Mten3 will probably end up in the tree again. Sorry... no more disrupting this thread. Best wishes on your sale @myfunwheel! Really? New One or the prototype from ewheel? I now own the prototype. Am I still allowed to call that a KS18XL, or it's not a real XL? I would love to know about your ninebot e+, but I could not post due to the "new person" lockout. They should make the sales area not as restrictive. I've been coming here since December looking for an affordable option as my reeeaaaaly old van is about to die, (another radiator leak, oil leaks, and dying battery) so that I can just go down to a single car family but still get to work easily. We went down to one car and I commute most days 10 miles each way to work. It's great option for warmer climates although I'd have some good rain gear for Miami commuting. Absolutely, I already have a rain suit that I use when I go camping, I also figured I could ride in shorts and a t-shirt, and pack my slacks and dress shirt and change @ work. Also my office is 4 miles away, but we are looking at a cheaper option 0.8 miles away. So the EUC would be amazing for that commute. I've given you a couple of Up-Votes. Maybe that'll help. Please realize that every single member of this Forum has had to go through the same waiting period. Everyone. Your experience is not unique. You, as a non-administrative member such as myself, do not get to enjoy seeing the spam posts that show up here. Having the restrictions in place keep this Forum a pleasant place to hangout. Yeah, I got a 'slight' discount But it does have ~500 miles on it (about 200 are from me) and the inside has some sketchy KingSong workmanship - this is why part of the shell is pulling away from the wheel. Hopefully this is just because it's a pre-production version. Update, z10 sold as of 2/26/19.....thank you everyone for checking it out. The edict has been officially vanquished! On newer versions, there is real moded plastik around the brass insert. And then there is also ametal ring around this plastic of the “female brass insert”, protecting it from breakage. As said: Congrats...it is really a great wheel.